Juventus manager Massimiliano Allegri expressed confidence on his team's chances of progressing past the Champions League round of 16 stage, after a frenetic 2-2 draw against Bayern Munich in their first leg game in Turin on Tuesday, 23 February. Bayern had raced to a 2-0 lead midway through the second half, courtesy goals from Thomas Muller and Arjen Robben. However, the Bianconeri came back into the game with goals from Paulo Dybala and Stefano Sturaro to level up the proceedings. "We need to have more confidence in our own abilities and not sit so deep. 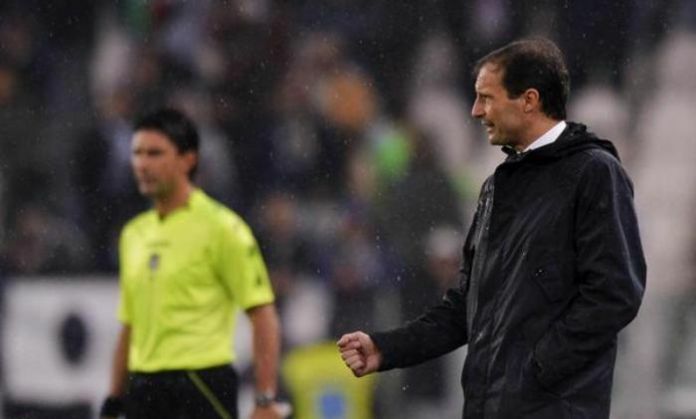 We can do it and I'm happy to have players back from injury," Allegri told reporters following the game. Talking about the game, Allegri said, "As long as Bayern maintained a certain tempo, it was not easy for us. Fortunately, they lost intensity and we came out." With Bayern playing at home in the second leg, Allegri said his team won't be afraid of going for the win against the German giants. "In the second leg, we will have to win. It won't be easy, but we have to believe," he said.